One of the worst kept secrets in history is that music has a way of affecting how we feel about people. Music also makes us feel a certain way about the artists that create the music. Whatever emotions the message and the melody conjure up for us, we subconsciously associate the artist with those virtues and flaws. 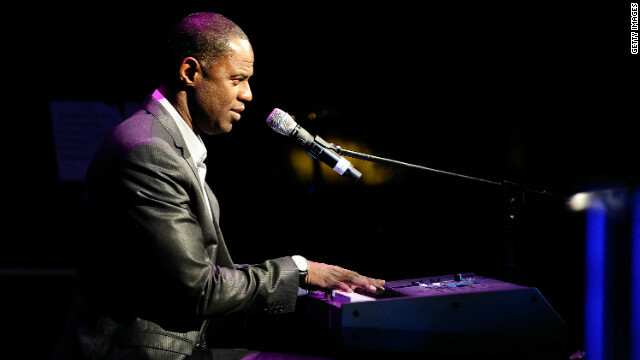 Brian McKnight has sold millions of records by writing songs about love and loss and singing them with alarming range and ability. His penchant for writing beautiful ballads of love and loss proved a gift and a curse, dually providing him with 16 Grammy nominations and a general consensus stigma as a 24 hour sage of the sentimental. That notion presented itself in definitive fashion when the citizens of the World Wide Web got a glimpse of a video clip he shared with his twitter followers. The content of said video was a preview of a song entitled, “If You’re Ready to Learn,” which featured lyrics depicting a man eager to help a lady be more inquisitive about the more delicate parts of her body. McKnight did this as a lark, but while his twitter followers were sharing the laugh along with him, the rest of the world got bruised chins from dropping their jaws so violently. To his fans, McKnight is an approachable artist with a sure-footed dry sense of humor. The casual admirers not privy to his brand of comedy (on full display in his hilarious, criminally brief cameo as a pimp in Blaxploitation spoof Black Dynamite), were far more cynical; McKnight’s trying to revamp what they see as a career wound down. An unquestionably frustrating situation for McKnight, he continues to see this as an opportunity to reveal to people that there’s more to him than just being the “Back at One” guy. “I think this song, “If You’re Ready to Learn” is more the real me than any of the other music I’ve ever done as a whole,” McKnight told iRockJazz. “Now, I did feel that way when I wrote those other songs, but wasn’t general me. That’s what people get mixed up; it was a moment in time, that’s how I felt, but I don’t walk about with my head in the clouds all the time because I’m so in love or I’m so down. I’m usually watching Sportscenter.” Indeed, there’s more to McKnight than what the average person with internet access and preconceived notions of black radio might believe. For now, Brian McKnight is a lightning rod of controversy for peculiar circumstances typical of today’s celebrity obsessed society. It’s imperative to remember why so much attention is being paid to him: the man can sing, and he was born to do so. While “If You’re Ready to Learn” wouldn’t indicate as much, McKnight honed his musical virtuosity in the church. Growing up in Florida, and later Alabama in the 1970s, Brian and his family lived and breathed music in the temple of the Seventh-day Adventist. For Brian, singing and walking both occurred at the same time. “We grew up singing in the church,” McKnight explains. “In my family on my mother’s side, everybody sings, everybody plays, everybody was musical. So it wasn’t a surprise to be doing music.” It may not be a surprise with today’s hindsight, but at the time, Brian didn’t refer to his voice as a gift. In addition to artists like Wonder and Earth, Wind and Fire, another had a potent impression on both Brian’s vocals and guitar work, but it’s obvious to the untrained ear: “I would sit with Kenny Loggins records all day long, ‘cause he’s a singer/songwriter/guitar player,” McKnight told. Loggins is best remembered for his hit contributions to 1980s soundtracks like Footloose, Caddyshack and Top Gun. McKnight was enticed by his more organic, acoustic records. “I would sit there and try to play them, and try to sing like him. 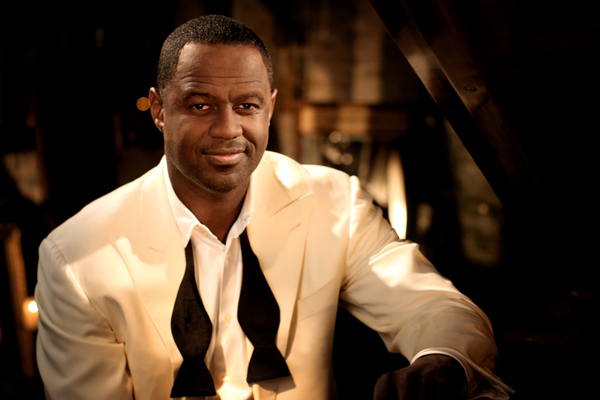 The precision of McKnight’s arrangement and melodic leanings – heard in songs like “Never Felt This Way” or “Love of My Life” – draw from the so-called smooth jazz artists of the 1980s. Having already engaged in instrumental composition, men like David Sanborn, Marcus Miller and Al Jarreau were ripe templates for McKnight. “I feel like the ‘80s was the greatest time for music,” McKnight explained. “It was the beginning of the synthesizers and that time to use drumming machines. But it wasn’t sequenced yet, so you still had to play. All the rock bands like the Police and Chicago and Toto; these were some of the most fantastic musicians we’ve ever heard playing these pop songs that were pop at the time, but they were also very intricate. If you remember “Rosanna” by Toto and they go into that jazz breakdown in the middle when [David] Paich is playing, it’s just gold, man. Not to mention all those Steely Dan records that I still learn from everyday.” McKnight cited Steely Dan’s Gaucho as his all-time favorite album.